Sync your Contacts between your smartphone and Webmail or Outlook. Sync your Email Calendar with your phone and Webmail. Instant messaging inside Webmail with our secure IM chat client. Our easy to use Webmail app is 100% Advertisement Free. Send and receive from multiple identities to mask your real email address. 30GB of storage to backup, share or collaborate in the Cloud. Our hybrid Exchange offering allows you to take your business email hosting to the next level by mixing and matching Exchange with our hosted email or MobileSync email accounts, all on the same domain. A potentially significant cost saving for small businesses that allows you to switch business email account without changing email platforms. Private email data is automatically backed up nightly via our top tier data centers. There is also an upgrade to add additional retention with FISMA compliant Email Archiving. Get organized and take your email to the next level with Push Email and contact, calendar synchronization. Add MobileSync to your domain email. A full office suite upgrade to a domain which includes 30GB Cloud Drive storage. This will help keep your team synchronized with two way syncing of email, contacts, calendar and files. Keep on top of your events with calendars and contacts that work across all your devices. Built on Microsoft ActiveSync technology, our MobileSync service syncs your Email, Contacts and Calendars between Webmail/Outlook and your iPhone, BlackBerry or Android device. So, add a Contact on your mobile device and it appears in Webmail. Edit a Calendar event on the web and the change appears on your phone. For each event added to your calendar, there are various reminders you can set. From default calendar notifications to email reminders, you can also opt to receive an SMS text message. Utilize the Webmail calendar app to share your calendar via a private or public link. You can also allow certain team members within your domain access to add or edit appointments in your calendar. Make Thexyz your default storage for contacts and allow our MobileSync service to synchronize these contacts on any mobile you add your email to. Never lose your phone contacts again. Utilize our premium service with powerful collaboration tools to make your organization more efficient. Easily setup your professional email address on your device with only usernames and passwords for configuration. Keyboard shortcuts allow you to execute commands in Webmail with a certain keyboard key. The easy way to email a group of people. You can also control who can send and reply to the list. As an early adopter of Two-Factor Authentication, security has always been of paramount importance for our professional business email service. Thexyz Premium Webmail supports all encrypted ports for sending and receiving mail through a private email server. Passwords can only be reset through authenticated SMS text message code. Our private email network utilizes full email encryption that hides data during transmission, so it cannot be intercepted and other third parties will not have access to your sensitive email data or encrypted emails. With multiple layers of spam filters and daily updated virus definitions, our email servers are equipped with 4 layers of professional Spam Protection. OpenPGP and OAUTH RSA 4096 and RSA 2048 ECC p384 and ECC p256 FIDO U2F (Universal Second Factor) HID device. Our email solution is available in 11 languages and various platforms. Webmail is available as both a desktop and mobile app or you can setup on an email client. Our web based email is also available as mobile apps on Google Play and the Apple App Store to send emails from your mobile device. You can either register your own domain through our registry or use one of our domains which we have available for those who do not wish to register a domain and still make use of our secure email service. Can I setup email hosting for my own custom domain name? Yes, you ca create a custom email address with your own domain or use one of ours. Our domains are now over 10 years old and have a strong reputation amongst other email providers to keep you emails from being flagged as spam. A custom domain can be used with any of our email hosting products. Once setup you will need to point the domain dns to our mail servers (mx records) by following this guide on how to setup email on your own domain, you will be sending and receiving email on your own custom domain name in no time. The domain name does not need to be registered with us. You will just need to make a DNS change with your web host or domain name registrar to point to our mail servers. When you create a business email using your companies domain, additional features are available through the email admin portal. Take a look at this email administrators guide or customize the look and feel of Webmail to match your companies brand. How easy is it to move my migrate mail from Gmail, Yahoo or other providers? We make moving your email to Thexyz as easy as possible with a fully managed email migration. Once you have your email account with us setup, all you need to make sure is you know your existing email password. We undertake email migrations everyday from various providers such as; Gmail, Zoho mail, AOL, Fastmail etc. There is no downtime and so you know what to expect, you can read this article on preparing for your email migration. How can I setup email on Outlook or Mac Mail? We have various guides available for showing you how to setup your email account on your email clients like Microsoft Outlook or Mac Mail. If you have trouble, you can also use our Email Help Tool for additional help and setup resources. What is the storage space per email account? Each account with our email hosting service comes with 25 GB storage space dedicated to email data. 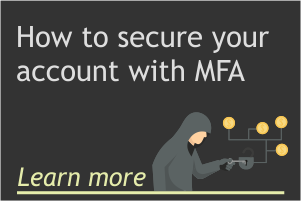 Hosted Exchange accounts can be upgraded to 100 GB at no additional cost. Yes, you can. An auto-responder is a program that, when setup for your email address, sends out an automatic, pre-set reply to an email, as soon as it is received at this email address. You can find out more about setting up an auto-responder this post. Your email can be accessed or setup using any Smartphone or Tablet. Our webmail app is compatible on all major Operating systems such as iOS, Android, Windows Mobile, Symbian and Blackberry. The native app can also be found in iOS app store and google play. How can I create an email alias? You can follow the steps to create an email alias. Do you provide bulk sending services? We do not provide bulk email services. To ensure that your emails are sent safely and are not blocked, we recommend that you use a reputable bulk email service to send out your content. Reputable email service providers provide software and services to ensure that your bulk email is delivered in a way that mail providers will accept as good mail.